Remember your first teddy? This adorable supersoft teddy will quickly become a best friend. The perfect gift! 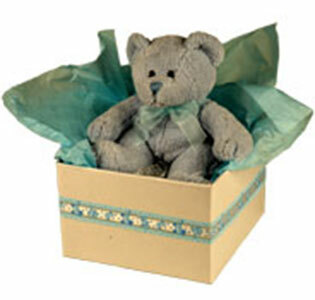 Presented in a pink or blue box with a white lid and hand-tied bow.